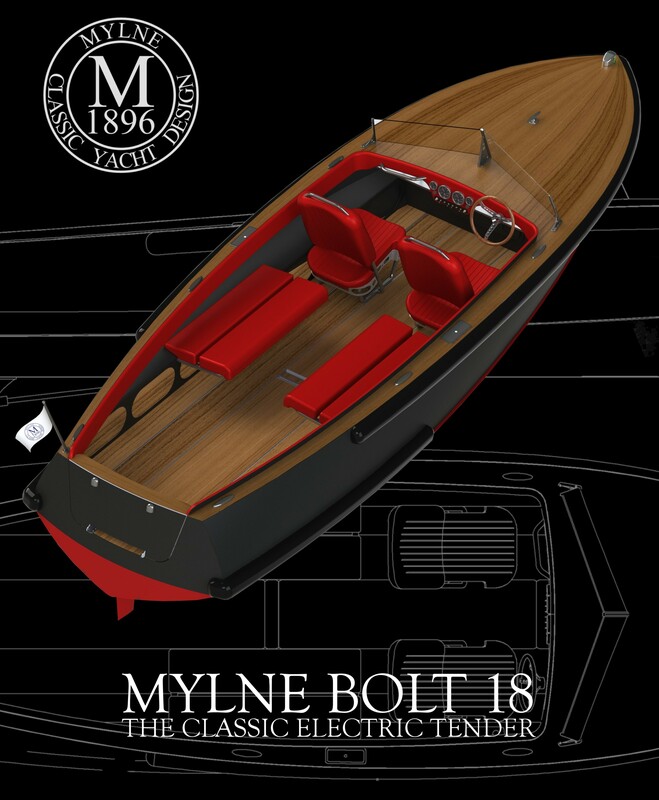 The new BOLT 18 all electric boat and yacht tender from Mylne is a fast, comfortable, robust and classically styled craft to take you ashore quickly and comfortably. Used as an electric sports boat it has a great range and can tow water-skiers and wake boarders with ease. The Mylne Bolt 18 is a fast, agile all electric boat and yacht tender powered by a 135bhp electric motor, and a bank of lithium batteries. 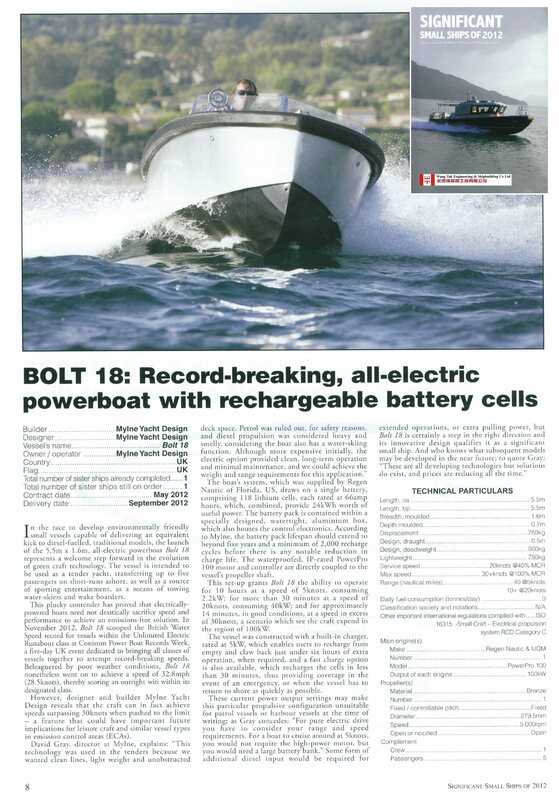 Working with our US partners Regen Nautic, the Bolt 18 represents a step change in the power and versatility of electric boats in the UK and Europe. Top speed is in excess of 30 knots. 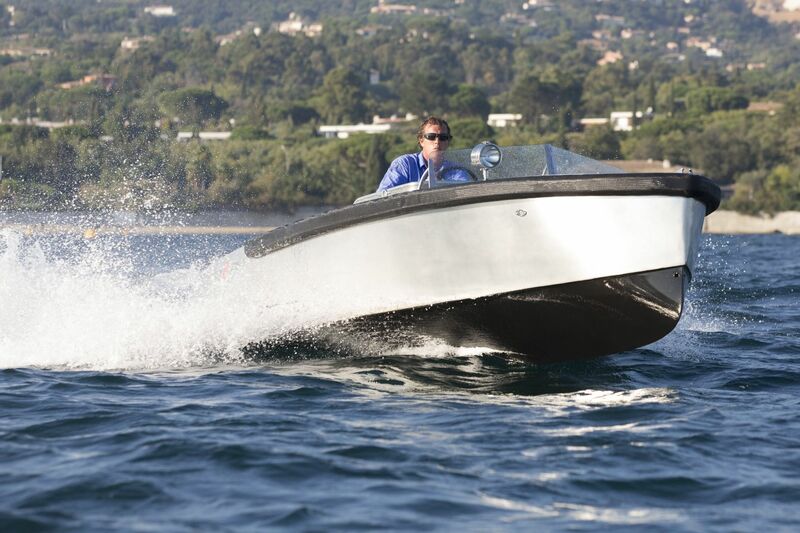 November 2012 - Mylne set the British Water Speed Record at 32.77mph for the National "Unrestricted Electric Runabout" class. 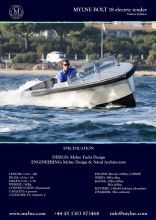 David Gray, the designer says "The boat is exceeding all our expectations in terms of speed, acceleration, autonomy, quietness and ride quality. We received an exceptional amount of attention at the Monaco Yacht Show, and later during Les Voiles de St Tropez. The simple lines, open plan, pollution free all electric propulsion, low maintenance and astonishing performance were very well received. 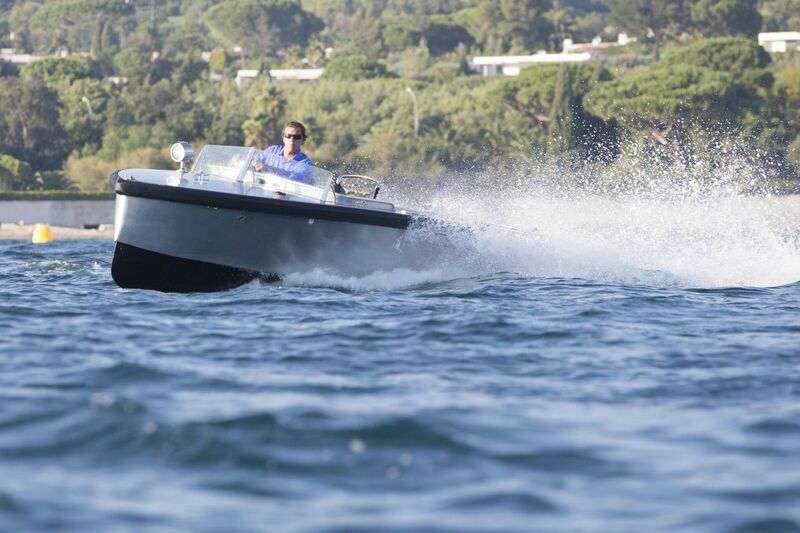 This is only the first in a range of electric boats and yacht tenders which will be coming off our drawing board."